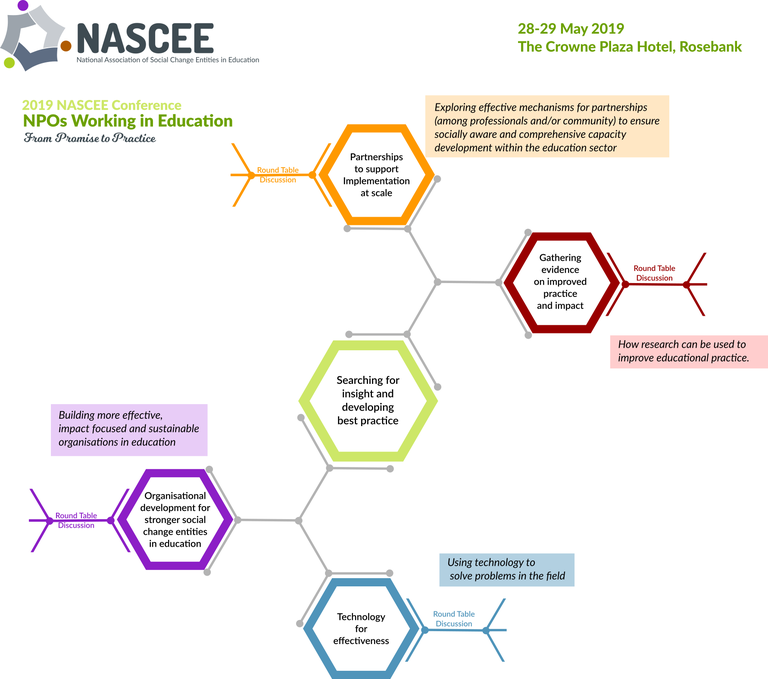 2019 marks the first conference aimed at supporting, : developing and show casing the work of social change entities in education. champions of South Africa’s educational future. This is your opportunity to join the discussion and development of best practice. The 5 conference themes are highlighted in the diagram. A link is provided below for submissions. Please submit your speaking proposal here. Closing date for submissions: 30 April 2019.